As the days grow shorter and the weather cools off, it can be tempting to hunker down indoors. But with the right layers and some weatherproof boots, there’s no reason to pass up autumn adventures. 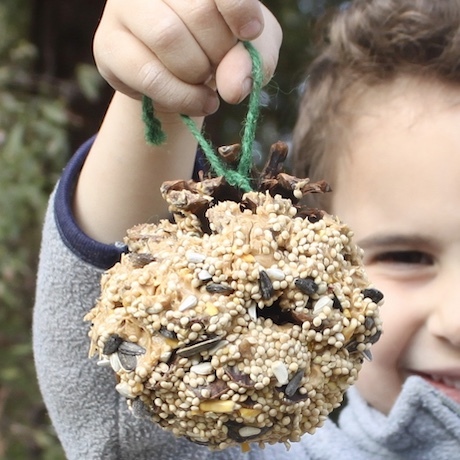 Check out these fun, nature-inspired projects designed to get your family outside this fall. Round up the kids and head down to a pick-your-own pumpkin patch. They’ll love scouring the rows as they hunt for ‘the one.’ When you’ve had your fill at the farm, bring your pumpkins home and break out the paint! Painted pumpkins are a great alternative to jack o’lanterns for little ones not quite old enough for carving. Plus, they last a lot longer! You’ve bagged up all the leaves, but don’t put the rake back in storage just yet! You can use a rake to create a friendly scarecrow to watch over your yard. Encourage kids to get creative with materials like flowers and leaves to make a face and have them gather branches, corn stalks, or bundles of dried grasses for the arms. Leaf rubbings are a great way to capture the feeling of fall. Lead the family on a nature walk to collect leaves. Once they’ve gathered a good variety of different shapes, sizes, and textures, have them arrange their favorites under a sheet of paper. Reveal the unique details of each leaf by gently rubbing crayons or colored pencils over the paper. Easy enough for the youngest of kids to enjoy, leaf rubbings also present a fun opportunity to teach older kids about different plants. Pine cones, peanut butter, and birdseed make a healthy treat for backyard birds. Set some time aside every day to check the feeder and help your kids keep a nature journal to track all the different birds they spot. To attract a wider variety of birds, make multiple pine cone feeders with a few different types of seeds.